Yorkshire Estate Agents are a Leeds based Sales and Lettings Agent who provide a fresh yet traditional approach to renting property and buying houses in Yorkshire. We're determined to be Yorkshire's best sales and letting agent, and our tenants and landlords are always our top priority. Did you know that 90% of people now search for properties online, rather than at a high street letting agent? Take advantage of our fantastic tenant property search feature to find your new home now. Landlords, don't miss out: use our amazing landlord online listing packages today and instantly reach lots of new, potential tenants! Here at Yorkshire Estate Agents, we decided that it was time that Yorkshire experienced a fresh, new approach to lettings. We offer high quality and professional letting agent services for both landlords and tenants! We have a large range of professional accommodation in Yorkshire, family homes in Yorkshire, and houses for sale in Yorkshire. Our fantastic selection of houses, flats and apartments include properties with one bedroom to huge properties with up to seven bedrooms! You can search our gorgeous properties and filter them by location, beds, tenant type, property type and price - making it even easier for you to find your dream home. As your local online Letting Agents in Yorkshire, we're proud to be a traditional estate agent with a modern approach; this includes online property search, personal viewings and online application. Letting a house online with Yorkshire Estate Agents couldn't be simpler. We offer two different and original approaches for landlords: We Do It, or You Do It. If you have a lot of properties to let or simply don't want to have to do it on your own, our professional team at Yorkshire Estate Agents are here to help! We can list your property on all of the major property sites (including Rightmove and Zoopla!) and we will even manage your property for 6 month free of charge! We'll organise all of your gas and electric certificates, and we can even arrange your landlord insurance. To find out more about what is included in our 'We Do It' package, click here. Would you prefer to have a more involved role? No problem! You can still use our fantastic services and stay fully involved and in control of the whole process. Our 'You Do It' packages are tailored to your personal requirements and allow you to choose how many or few extras that you need. Choose our 'Standard Package' to see your properties listed online, or our 'Essential Package' for online listings plus extra features such as deposit collection and drafted tenancy agreements. You can even choose from a range of add-ons such as professional photography and energy certificates! Click here for more information about what is included in our unique 'You Do It' packages. Choose Yorkshire Estate Agents, a Letting Agent Leeds, if you are a family looking to re-locate, want a bigger house or perhaps wish to down scale. If you’re a Landlord with a quality property that wants quality tenants, we want to hear from you! Our expert team can't wait to help you find you an amazing home or amazing tenants, so get in touch today. Looking for student properties? Our property partner, A-Team Properties, has a huge number of student and professional properties in and around the popular city of Leeds. Student and professional properties are available right now in Headingley, Hyde Park, Burley, Kirkstall and many more locations! There are properties available in all shapes and sizes (some even go up to 13 bedrooms!) so we're sure you'll be able to find something you love. Many of the properties come with the option of having bills such as gas, electric, water and council tax included, allowing you to shape your property to whatever you require. For a limited time only, certain properties are available with a FREE Xbox 360, TV or PS3! Whether you want to be in a lively party-centric area of the city or a quiet countryside retreat, A-Team Properties has it all. Click here to go to A-Team Properties' site. 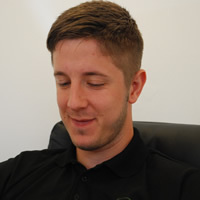 Carl is the founder of YEA and now looks after business development and our construction/maintenance projects. As a huge Rugby fan and Coach, Carl is often caught sketching out training plans! 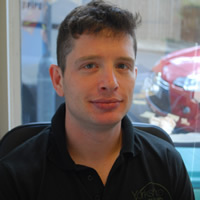 Hendrie is our Director and responsible for Landlord care. He ensures Landlords know how their property is performing and liaises with our clients on a regular basis. Hendrie also takes charge of viewings and makes sure the tenants see what we have to offer. As a keen 5 a-side player and avid Bradford City fan Hendrie can often be found watching the beautiful game still convinced he should be on the field of play. "I have dealt withYorkshire Estate Agents for the last 4 years now. During this time they have helped me locate the right properties in the right areaswhich would be suitable tolet out to students/professionals. They carried out all the necessary building works required to get the properties to agood letting standard, sourced tenants and fully managed my property portfolio.As I have had friends who have become landlords I have had no hesitation in not just recommending Yorkshire Estate Agents but insisting to them they are the agent to use as there is no messing about, just honest advice and fees which are reasonable for all the services they provide. I would highly recommend Yorkshire Estate Agents and look forward to many more years of doing business with them." "I've been a landlord working with Yorkshire Estate Agents for about 3 years now. In that time they have managed my entire portfolio at some point. They have been both professional and efficient in managing the properties. I highly recommend them." "Just a thank you to Yorkshire Estate Agents expertise in successfully re-letting my rental properties. As a private landlord of several years it is refreshing to have business dealings with a company who will put in that extra effort for both landlord & tenant alike. I have had experience of others who certainly do not. Your knowledge of the business, swift response and approach ability to any queries or problems gives an assurance which is much appreciated by me and I am sure tenants too. I look forward to continuing our business relationship in the future"
"When our daughter moved from Leeds we were faced with the ‘problem' of what to do with the house as we lived some distance away. We didn't want to sell at that time but were apprehensive about letting. A friend had spoken to Yorkshire Estate Agents and suggested we try them. Although we thought they were more geared to the student market, we decided to give them a try. They were able to find us reliable professional tenants straight away, and the whole operation has run like clockwork. Their service has been first class, and the peace of mind has been priceless." "Being a Landlord for the first time was a very daunting experience, after a close friend referred me to the Yorkshire Estate Agents in Leeds this soon changed. Carl Thewlis (Director) talked me through everything his company could do for me. Carl advised me on the type of property I should be buying and the type of property which would attract the best rental. Afterviewing many houses I asked Carl to view the selected few I had chosen. After buying my current property Carl helped organised and advised on the restoration work thatwas required to be carried out. Carl also organised for the house to be fully furnished and cleaned.This was done at a very reasonable and competitive rate within a time frame which we agreed. Carl was constantly involved and always in touch with me. My property is now let out for 2 years.This is due to Carl Thewlis (Director) and Hendrie Iwanczuk (Director)and it makes a very good rental return.Any problems or issues are sorted within 24hrs. All my current tenants are always praising their efforts.Hendrie alwayspays my agreed rental cheques on time every month. I will always recommend Yorkshire Estate Agents to friends, family and other property investors. They are honest, trustworthy, professiona land always at the end of the phone should you need them. They will organise everything front start to finish from HMO Licences, Gas and Electricity certificates to a general clean of your property. Thanks guys for all your help." "We used Yorkshire Estate Agents for the first time recently, they were brilliant they let two flats for us very quickly (one of which had previously been on with another agent for 8 months ) we were very impressed with their effciency and advice. We will continue to let through them,we recommend them." You just get the feeling that Yorkshire Estate Agents are a bit different. They make you feel like they actually want you as a customer! Very helpful and friendly! I am glad that I chose to rent from Yorkshire Estate Agents as they were quick with the application process and the customer service was brilliant!! :) Anyone who is struggling to find a good agent should definitely Yorkshire Estate Agents as your first choice. I have never had any problems with their service in the years which I stayed in their apartments :) so a big thumbs up. As for being a first time tenant I was incredibly impressed by the handy guide they gave me upon moving in to my property. Their staff provide a friendly service and made the whole moving in very straight forward. Debbie in the office is very friendly and provides a personal and professional service and so far I've had no problems! The shower broke as one of the pipes bust Yorkshire Estate Agents sent a handy man out within a day! Will definitely be resigning based on my experience so far! I am a tenant who is now living in Leeds. I was overwhelmed by the sudden choices and decisions I had to make when moving from halls into private accommodation. Luckily I found Yorkshire Estate Agents who talked me through everything and were helpful and friendly throughout. Having lived in a house managed by Yorkshire Estate Agents for 2 years I can honestly say they have been a pleasure to deal with. Fantastic, fantastic and fantastic!! Having let through Yorkshire Estate Agents for 2 years these guys have always been first rate and I have no reservations in recommending them. Brilliant.